Nowadays most of the colored aluminum profiles on the market are achieved by powder coating. Wellste owns 4horizontal powder coating lines. In 2016, we introduced 1 vertical powder coating lines. 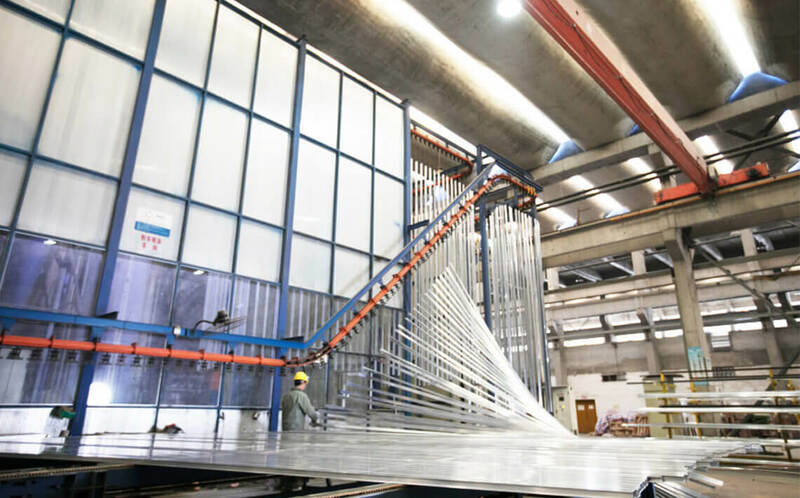 Wellste is becoming more and more professional in aluminum industry. Powder coating is to use powder spraying equipment (electrostatic spraying machine) to spray powder coating on the surface of the workpiece, under the action of electrostatic, the powder will evenly adsorb on the surface of the workpiece, forming a powder coat. The coating thickness can reach 50~150 μm. Wellste powder coating will give you a wide range of color choice. There are more than 200 standard RAL colors to meet your demand. When you prefer a little flare or sparkle, metallic powder coat will be your right choice. Powder coating extruded aluminum profiles have many advantages. 1) The process is relatively simple. 2) High rate of finished products. 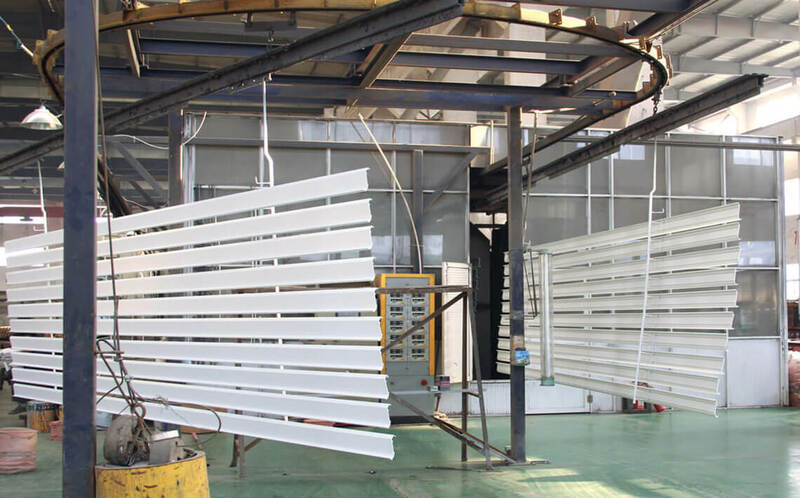 Powder coating can completely cover the extrusion lines on the surface of profiles, cover up some defects to improve the surface quality of aluminum profiles. 3) No damage to the environment. 4) Better hardness, corrosion resistance, and acid resistance can effectively extend the service life of aluminum profiles. 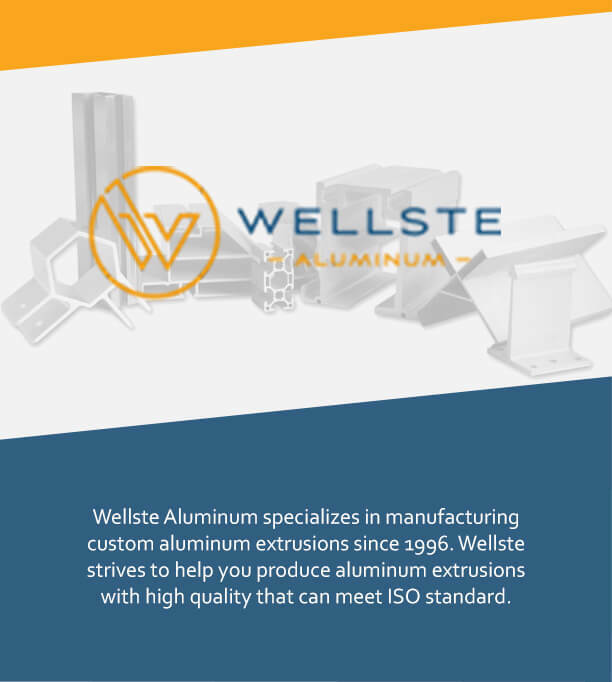 Wellste powder coating is not only for long bar aluminum profile but also for extruded aluminum profiles after fabrication. Powder coating after fabrication is achieved by hand-held spray gun. Wellste can meet your different demand in one-stop that will save you money. Especially, the combination of spraying profiles and insulating broken bridges makes it more fashionable and makes powder coating aluminum profiles have more development space, which can not be replaced by profiles with other treatment methods.